OpenExpo is the essential event for the technology and business leaders looking to develop, invest and implement Open Source technologies. OpenExpo is the meeting point of the sector for companies and entrepreneurs, engineers, designers, analysts, digital managers, developers and business managers among others, where companies expand their network of contacts, generate business and promote their services. The main suppliers of the sector will show their technological solutions for all types of companies. A unique showcase with the vision of experts and key market players. 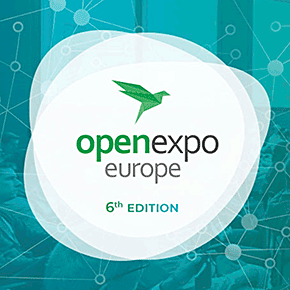 The aim of OpenExpo Europe is to share, present, discover and evaluate the Open Source solutions and the trends within the industry. Check out what’s new within the open technology world. Don’t miss the chance to discover the last trends to promote your business.